We are excited to provide you professional Eye Care services in a comfortable and friendly environment. Please contact us to schedule your appointment today! Welcome to our office! We are proud to be celebrating over 27 years in the Renton community, providing quality eye care and vision services. 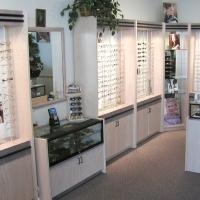 We offer friendly service, complete contact lens care, and a generous selection of unique eyewear.